The story will center on a boy named Joey who discovers a toy robot near the west coast of the United States. Then, the toy becomes Heroman, a giant robot that Joey pilots against evil threats. Watch Heroman Episodes Online at Animegg.org. 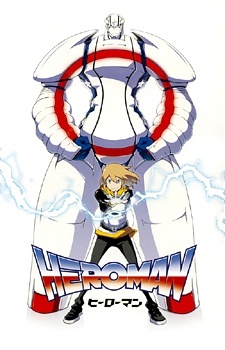 Heroman is available in High Definition only through Animegg.org. Choose an episode below and start watching Heroman in Subbed & Dubbed HD now.